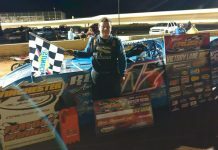 BARBERVILLE, FL – Florida turned into the Black Sunshine state on Friday night after Scott Bloomquist swept the World of Outlaws Craftsman® Late Model Series show claiming the PFC Brakes Fast Time Award, a heat win, and collecting the $10,000 payday. Bloomquist, of Mooresville, TN, started on the pole for the 50-lap event but Marlar, who started on the outside, immediately jumped to the front. The Winfield Warrior quickly widened his lead but by lap 12 Bloomquist reeled him back in and secured the pass for the top spot just one lap later. While there was plenty of action behind Bloomquist, he was only ever seriously challenged for the top spot with two laps remaining. Chris Madden, of Gray Court, SC, charged for the lead after getting a run off of turns one and two. 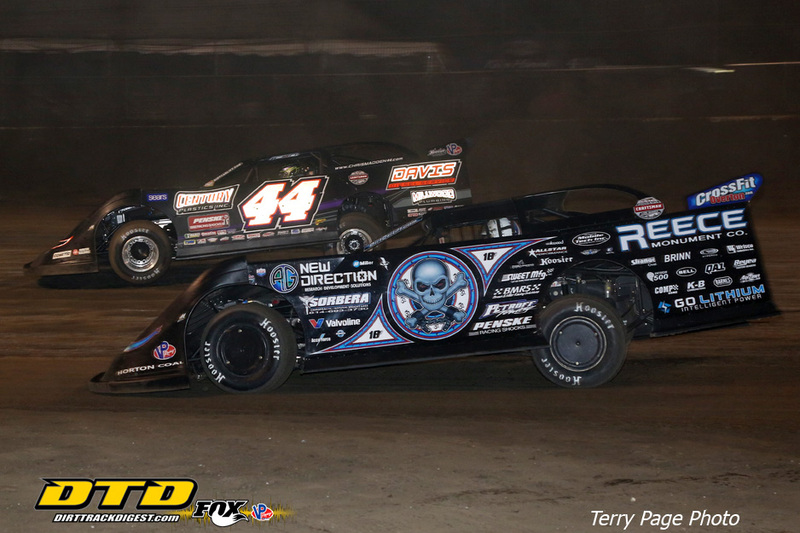 He caught up with Bloomquist on the high-side but as quickly as he caught up to him, he trickled back. 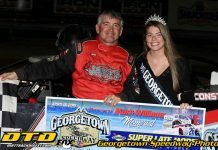 Dale McDowell finished on the podium for the second straight night after another great run towards the front from a mid-field start. Although his charge doesn’t match the night before (15th to first), McDowell was still satisfied with his finish. 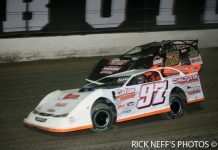 The World of Outlaws Craftsman Late Model Series joins the final night of competition on Saturday at the 47th annual DIRTcar Nationals. Tickets for the event are available at the ticket gate or join us from the comfort of your home by watching every lap live on DIRTVision.com.